I'm in love with this quilt. Thread: I'm in love with this quilt. I think I'm going to buy the pattern. Tell me you're kidding. Holy mother of work, it will take FOREVER, lmao. Ohhh so cool! One day, I will make one of these. Person who made it did it over a year. I knit less cause it gets to be too big and then I can't carry it around in my purse. 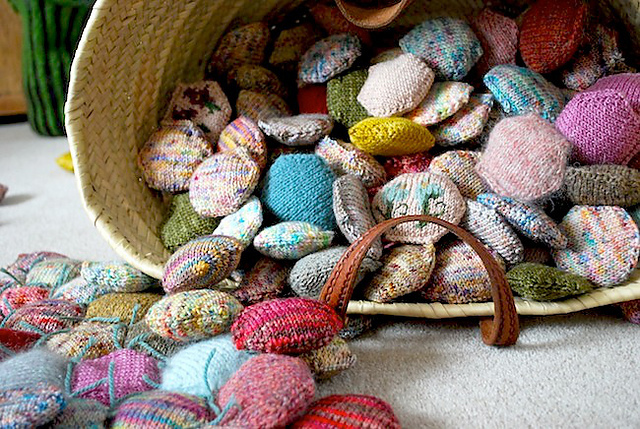 I wouldn't think you'd need to buy a pattern though - just figure out the shape, then make a million or so of them? and mmmmmmmmmm ravelry I could spend all day looking at the patterns. 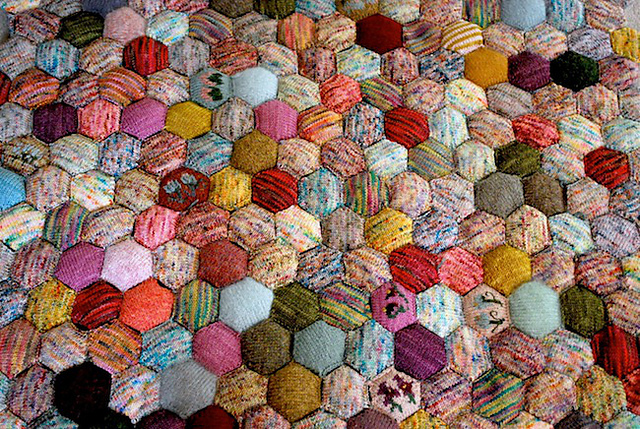 Love the quilt ... so beautiful, calming, and the patterns are gorgeous! Thanks for sharing. I now want one of these!!!!! Chinup: You should buy the pattern & have a bunch of LMs knit a few up for you, so you'll be done sooner. 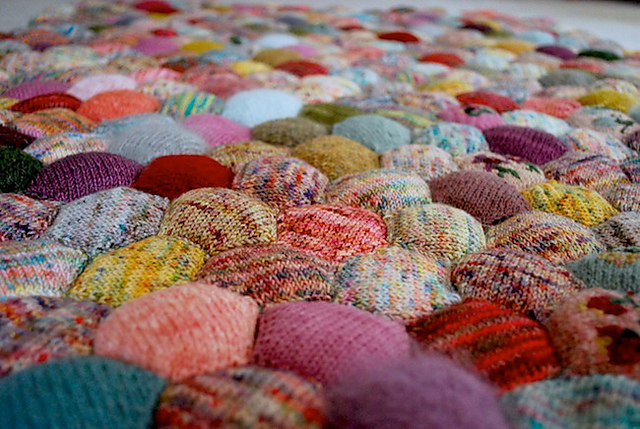 It would be a FABULOUS pattern to use up ends. Any quilt makers out there?? I made a rag quilt! !